And so it was many centuries ago when man first came face-to-face with Tarpon. Tarpon: That primal manifestation of fish- muscle and scales that, even today, remains as elusive to it's pursuer. ​Capt. Cody Moody is based in Carrabelle Florida during the Spring and Summer months. Capt. Cody prefers to sight fish for monster tarpon in the shallow clear waters of the Gulf Of Mexico. Tarpon are considered to be the most targeted game fish by both fly and light tackle anglers around the world. With many years of experienced fishing up and down the West Coast of Florida, My Fishing Adventures will give you the fishing trip of a lifetime! We also use many boat ramps in the area for our Inshore Fishing Charter trips. This gives us freedom to get as close to the fish as possible and allows targeting certain species in the best environment available . We can also meet in locations to make it convenient for are guest. 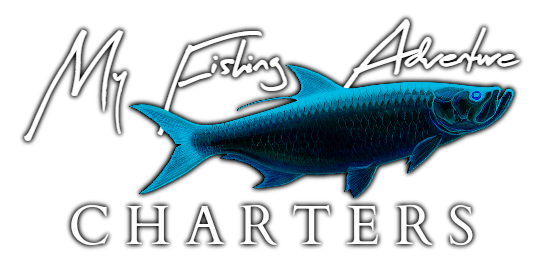 Contact us to find out the best locations to fish.